If you're looking for a big and capable tablet, be it for creative work or otherwise, then this deal on the huge 12.9" iPad Pro (2017) may be right up your alley. This slate is otherwise going for $1,279, as it is the 512GB, 4G version of the iPad Pro, but B&H Photo is currently running a 24-hour deal on it that slashes its price down to $799 (that's $480 off). The 12.9" iPad Pro may seem a tad big when compared to most other tablets out there (who are we kidding, it's huge! ), but it's just a perfect slate for creative work with its Apple Pencil support and wide variety of image editing and graphic design apps. It can also be quite the handy gadget if you're looking to do other types of work on the go, as it is as big as a 13-inch notebook. Of course, to maximize its capabilities as such, you'd also need a nice keyboard cover. 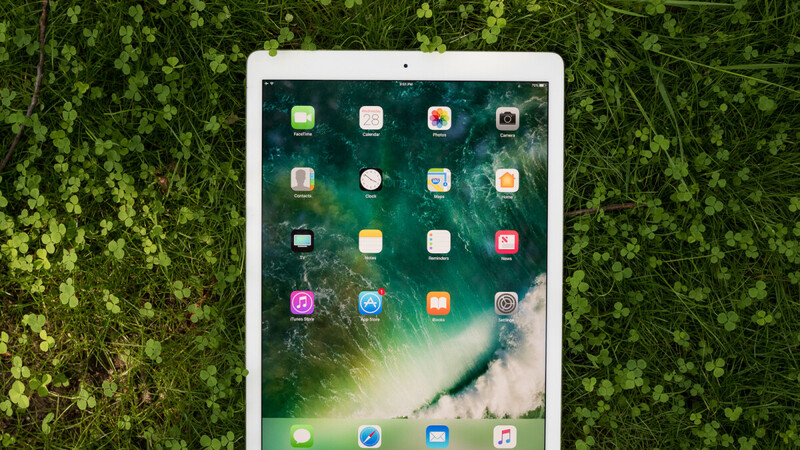 The iPad Pro is equipped with a beautiful, 12.9-inch Retina display with a resolution of 2732 x 2048 pixels, Apple's powerful A10X chip, and has great battery life to boot. There's even a capable camera on its back, should you ever feel the need to take pictures with a huge tablet. The 12.9" Apple iPad Pro is now discounted to $799 on B&H Photo. The deal is good through the next 24 hours. If you're interested in getting one, here's the B&H product page.